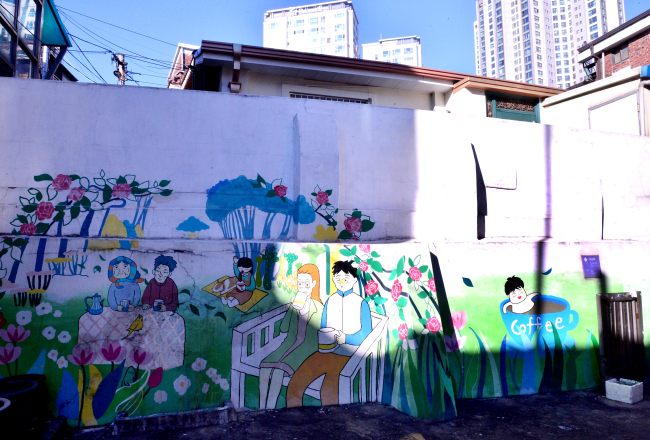 Seongnae-dong in Gangdong District of Seoul was run-down and quiet, a neighborhood occupied mostly by the elderly. But with Kang Full, a popular webtoon artist who has been living in the area since he was 2 years old, the old town has turned into a lively and vivid one with his comic characters. 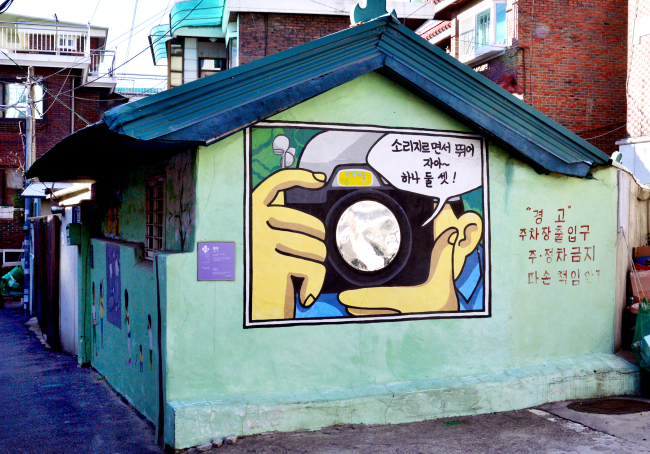 Created in 2013, the Kang Full Cartoon Alley in Seongnae-dong is full of his artworks featuring popular characters and images from his comics. Artists and students from Sungsu High School’s art club joined the alley project to draw and paint murals on the red brick walls. Because most of Kang Full’s work is about love, caring and co-existing, the key message of the cartoon alley that he wanted to portray is said to be one of a society where one respects another and those that are vulnerable. Thanks to the cartoon alley, the neighborhood is seeing positive changes. Less litter is on the street, while an increasing number of tourists are paying a visit. The Kang Full Cartoon Alley is easy to find. Take subway Line No. 5 to Gangdong Station, and it’s a short walk from Exit No. 4.